Tara, I finished reading The Temple of Hekate today and it has blown me away! I love it and am looking forward to using it as a workbook now. This will be an interesting and productive cycle for me. Thank you so much for sharing your wisdom, knowledge, and experience with us all. I look forward to your feedback regarding the practical exercises too. Many congratulations on ‘The Temple of Hekate’, Tara. I have read it twice and am now working through the suggestions and information for ritual, and knowledge to enhance my ritual. It is one of the best and most mature approaches to Hekate and ritual for Hekate, and a more general application for pagan ritual I have come across. Many thanks for sharing your time, knowledge, and energy. 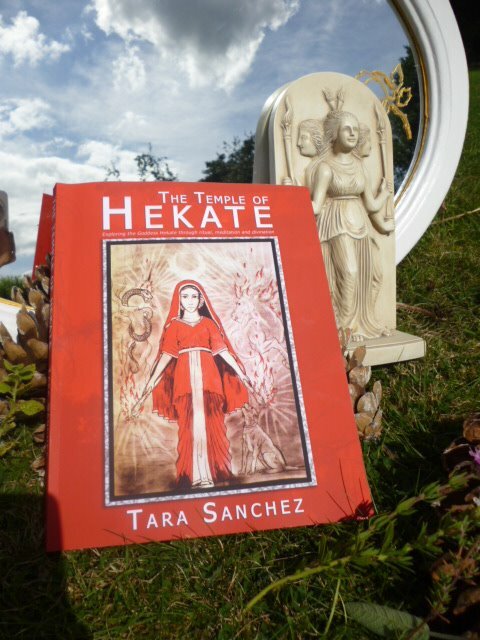 Tara, I am looking for a good all-round intro to Hekatean ritual and I think I’ve found it. Although I can only speak for myself I’m sure there must be others out there who would appreciate your review of: 1) Mark Alan Smith, Queen of Hell; and, 2) B. Morlan, Hecatean Magick. Thanks for your consideration. Thank you for sharing your knowledge. I really love this book and if I could give stars for a review, it would be unlimited!